We had excellent weather as it was a magnificent 73 degrees just before sundown, and right before Rolling Out! 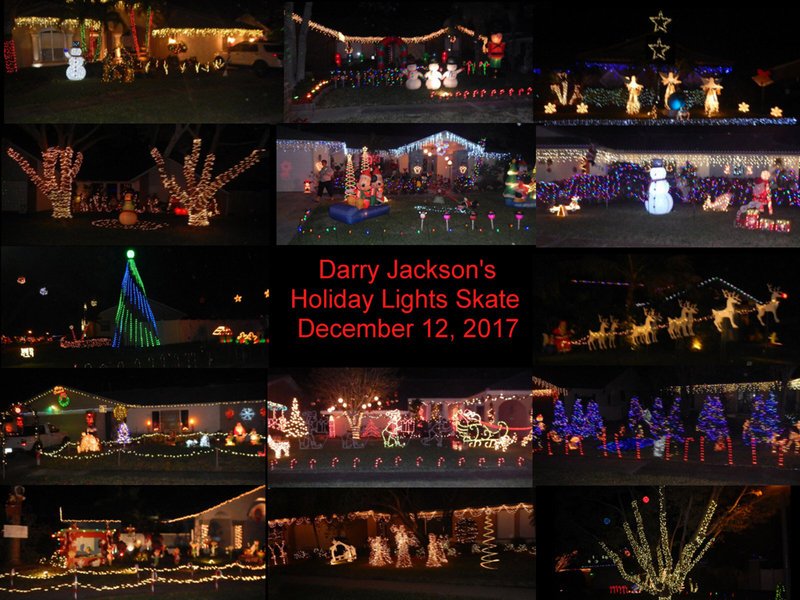 We gathered, took a Group Picture, then Rick TheBreeze lead us through the wonderful Christmas decorated homes. Afterwards, we all headed back to Darry's home for the delicious Chile and Sangria. Thanks again to Darry for allowing us to relax, socialize and devour the evening away at his place. 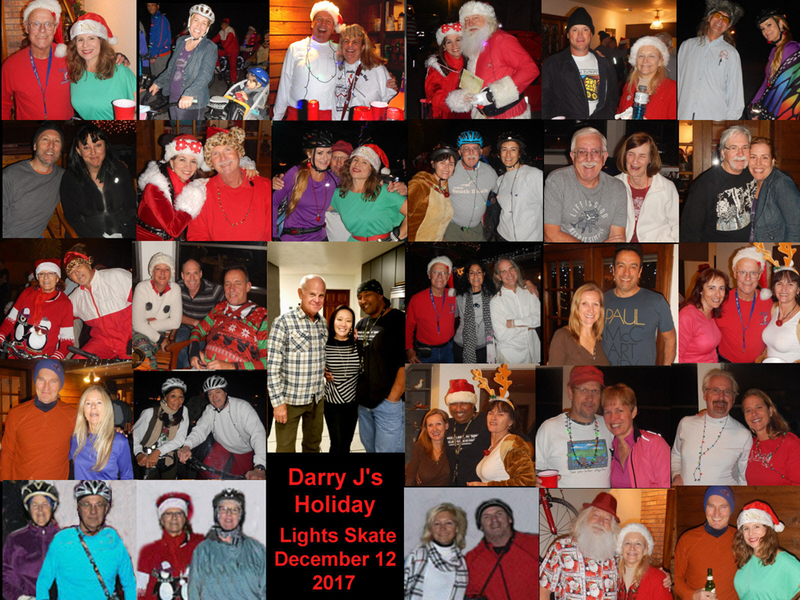 To everyone else, thank you for supporting the Seminole Holiday Lights Skate for 2017! We look forward to seeing everyone again next year!